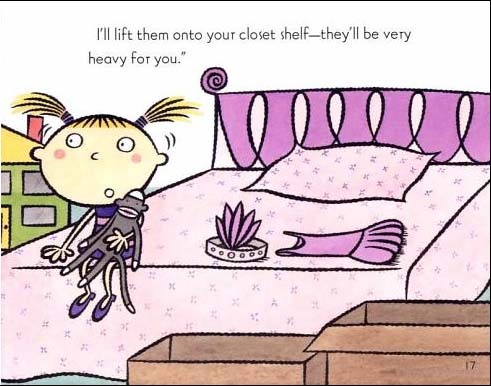 Little Maddie has to clean up her bedroom before her birthday party starts. 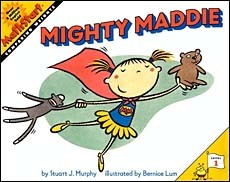 To tackle the task, she imagines herself transformed into 'Mighty Maddie', and her cleaning spree provides a great lesson about the difference between light and heavy. 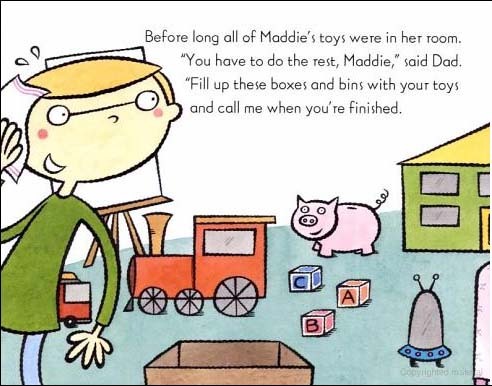 This MathStart series book is a cute, very basic introduction to the concept of weight.